Aura of Worlds comes to us from independent Australian developer Cognitive Forge, and it’s set to reinvigorate 2D roguelike platformers with its striking pace and thoughtful level design. Although the game is currently still in an alpha build, it has a deceiving amount of polish that makes it feel as though it’s much further along in its development cycle. Whilst it’s is a very enjoyable and different game even at this early stage, there are a few startling hindrances that burden Aura of Worlds. Aura of Worlds currently has 3 distinct worlds with 12 stages in total. The player is given a single life to complete these 12 stages, facing various styles of levels and bosses. That’s quite a difficult feat given how difficult the game is as a whole, even when played on the “moderate” difficulty that feels no different to the “hard” mode. The game’s pacing is also unlike any other 2D roguelike. The enemies are frantic, and a constant timer always has the player racing for the exit, an urgency juxtaposed by the need to take one’s time evaluating the traps and enemies that lay ahead in order to avoid a swift death. Cognitive Forge has put an interesting restraint on player movement by making it impossible to blaze through the levels by spamming the attack button and abilities. Players must adjust to each changing scenario by employing their abilities and skills whilst also allowing for seemingly infinite options as to how to navigate any given challenge. Every object in the game can be lifted, every piece of terrain can be destroyed, every trap can be defused and every enemy can be killed in a variety of gruesome or stealthy ways. The game makes plenty of items and abilities available to the player, much like in 2013’s well-received Risk of Rain. Each selected loadout comes with a specific weapon and ability, with deeper customisation becoming available through item drops or the stores encountered during the journey. Given how difficult it is to survive, there’s no fodder in any of the game’s RNG aspects; each of these drops and purchases is extremely valuable and important. With that being said, though, players will find the game easiest if they equip the grapple hook and a sword. The level and enemy design is easily the most unique aspect of Aura of Worlds. Whilst the goal is always the same – escape to the exit – the challenges you’ll face are always changing, with threats such as rising lava, toxic gas, carnivorous vegetation, or tidal waters filled with mines being introduced to try and stop players from reaching that exit. Aura of Worlds really takes an abject approach to changing a player’s strategy and pulling them right out of their comfort zone and forcing them to explore options that they might not have considered; it’s refreshing and a hell of a lot of fun. The bosses are where Aura of Worlds truly shines: there’s no easy way to beat them, so the player has to master their attack patterns and try to get attacks in whilst defending their precious and limited health. The bosses are not just attack-sponges and clones of existing enemies, they are individual monsters that are entirely unique – making for some very interesting, satisfying, yet enraging encounters. 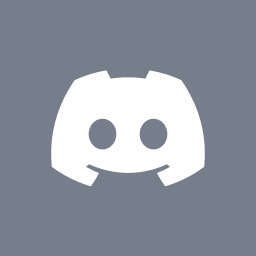 Unfortunately, this wonderful little gem does have its issues, from the small design choices that seem a bit off, to more puzzling UI designs that irritate at the worst possible moments and a couple in between. For instance, the game doesn’t seem to remember controller configurations, and its default button binding is quite bizarre. It was also odd to see the aforementioned “moderate” and “hard” difficulty options – implying that there is an easier option that would have been so very welcome – and then noticing that they appeared to be no different. The other jarring aspect of the game’s design is the loadout screen, which displays specific sets of items but with the option to randomise them, scrambling the options to allow players to choose different combinations. The idea seems fun, but it would have been infinitely easier to just allow players to choose individual weapons and abilities rather than just randomising until they get what they’re looking for. These are the kinds of annoyances I can only hope won’t appear in the full release, but only time will tell. Aura of Worlds is a ruthless and reinvented roguelike 2D platformer with all the right sandbox elements going for it. The game shines even in its alpha form, to the point where the only way one can even tell that it’s an alpha is because it’s written on the screen. 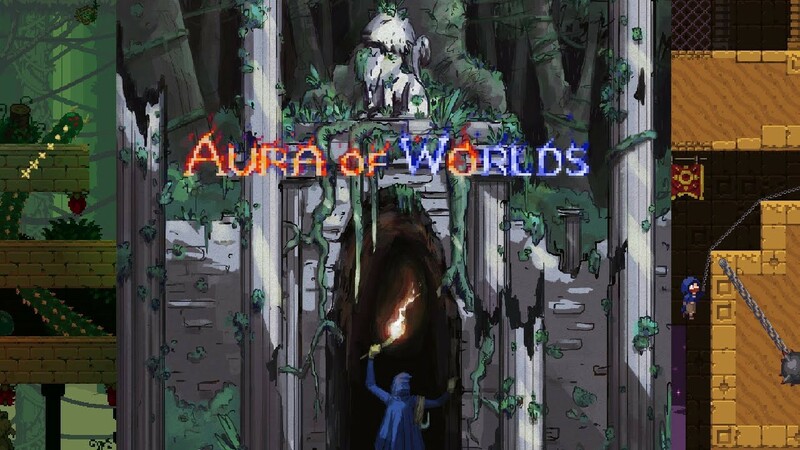 With alternating landscapes, unique enemies and the need to adapt and improvise as it becomes more difficult to survive, Aura of Worlds is a welcome addition to the 2D roguelike arena… and it can only get better from here. Aura of Worlds is currently available as a soft release on Itch.IO with a number of bonuses for early adopters; Cognitive Forge hopes to fully release the game in the middle of next year.